The following story reflects an article that was written in the summer of 2007, which can also be read in the "Recipe" section as well as the Mr. Goudas Biography. Since this story reflects this time period (we don't know the exact time frame that this story happened), we randomly chose this particular date. The circumstances under which this article was written were very spontaneous. One day Mr. Goudas was in a very talkative mood, and during the general break of the employees, he gathered everyone and started to narrate an event that had happened to him a long time ago. His secretary Bernadette Scott immediately captured this story in shorthand, as told by Mr. Goudas himself, and created this article. Obviously the ones who heard this story facing the narrator in person, had the privilege of seeing his facial expressions and hearing his laughter. However, we are sure that even the ones that read it on paper will enjoy the humor, pain, and surprises this story reveals. He bought the nightclub (now defunct), The Zambezi, in 1970, and changed the name to the 813 Club. "I never did it for the profit", he insists. "I loved to go out and have a good time with my friends on the weekend; I also loved Latin and Caribbean music. So, I thought, why not buy a club where we can all meet and have a party." The party grew and grew until crowds of sometimes up to 500 would pack the place on weekends. The club attracted a lot of people from Latin America and the West Indies, and sought to maintain a multicultural atmosphere by playing music from all over the world. Goudas, who acquired the nickname Mr. Woo because club patrons thought he was Oriental, spun the records sometimes, and is reported to have been the most popular disc jockey at the club. Mr. I. M. Hoppenfeld, Director of La Preferida in New York, gave Mr. Goudas the distribution rights for a whole line of Spanish products under the La Preferida Brand for the Canadian Market. Products include Ferrol Compound and 7 seas Cod Liver Oil. 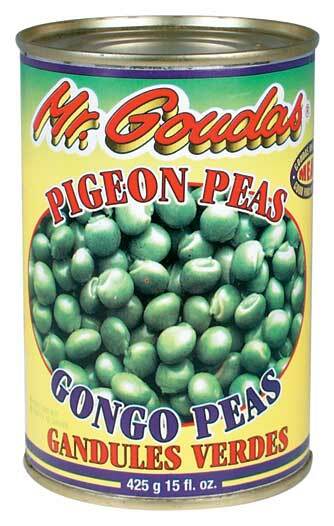 Goudas foods creates the first label for the green pigeon peas, which many know by the word gandules, in Port-of- Spain, Trinidad. This variety of peas is not similar to the Canadian sweet peas (item #88); it has a different, stronger taste, and it is mostly popular among Indian, Caribbean and Latin American people. Other common names are red gram, toovar, toor, gandul, Gungo pea, and no-eye pea. Goudas Foods Opens its first Packaging and distribution centre at 28 Oxford St. in Toronto. The place was not that big but was sufficient enough to enable storage of different items, as well as for the installation of a packaging machine for dry products. This location was feasible because it allowed Mr.Goudas to simultaneously monitor both locations since it was close to the Baldwin Street store. At this point in time, every venture was on an experimental basis: new products, new store, new potential customers, constant discussions with potential buyers and suppliers. Each step leading to progress or disaster, the margin for error was very slim since he had no financial backing, this was very own undertaking. Goudas Foods hires a sales manager! Goudas Foods is proud to hire Mr. Slomo Dayan as its Sales Manager. Mr. Dayan presents high qualifications and a number of great recommendations, and is an experienced professional, who above all seems very excited for his new position. Mr. Arthur Wexler, Directory of Sales appoints Goudas Foods the right to distribute the famous Good O Kola Champagne Soda in the Canadian Market. 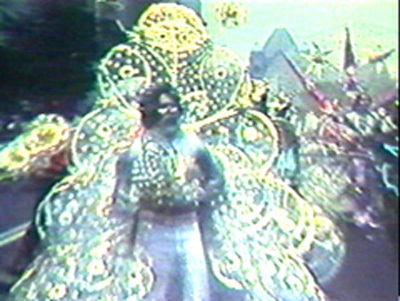 In September of 1974, Mr. Goudas hired Kenn F. Shah, International Business Consulting and Financing, as a Project Manager for the preparation of the biggest Caribana Parade up to that time. For more information about what the Caribana parade is and how was it organized, please click here or visit the articles section. After saving penny after penny, dollar after dollar, Mr. Goudas finally made a down payment to a building on McCormick St., in Keele and St. Clair area of Toronto. "Have your fun now, before we use the building full capacity!" The centre picture with the tree has been inserted at the request of Mr. Goudas because when he had just moved into that building and was cleaning up the premises, he saw a little shrub no more than 10 inches high and he felt that it was a tree, not a just a weed. 40 years later, it is one of the biggest trees still standing in the area. Filling up the space with the products. Finding customers who were willing to stock in their own stores. Go to their stores to try to help them since he was experineced in marketing first hand. Advertising in any way he could in many ethnic communities. It was a job that had to be done. No matter the time and the effort. Spyros Peter Goudas enters into a partnership agreement with Abelardo Cordova in 1973 (Company: Alimentos Caribe San Cristobal, Dominican Republic) for the production of various products related to Spanish consumers. Senor Cordova was willing to come to Canada and discuss the potential Latin American market, which was growing at an enormous rate at that time. Senor Cordova, a factory owner, with many years of experience, was encouraged to experiment with the ideas Mr. Spyros Peter Goudas presented him with, based on actual customer requests. 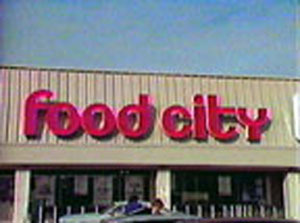 In 1973, Oshawa Foods, operating the IGA and Food City stores, decided to give a section in two of its city food stores (the first one in Dupont and Shaw area, with store manager Larry Sturino, and the second one at Galaria Food City, on Dufferin and Dupont, with store manager Frank Dicario, along with other people including Nick Nero and Armando Viola); this section was called for the first time "Multi-Cultural". Mr. Spyros Peter Goudas kept going at the section almost every night, set it up, make sure to keep it clean and always fully stored; he would keep his eyes open to see what products were demanded, and what people preferred to buy. He would talk to shoppers and ask about their cooking and eating habits, opinions about his products and comments, and this is how he would get new ideas for new products to bring at the stores. Within the next years he brought more products that became popular among shoppers, and in some stores he managed to secure a whole isle for Goudas Foods products only. To prepare the best tasting Ginger Beer, Mr. Spyros Peter Goudas spent a great deal of time thinking and working to create this wonderful product. A taste test of the Ginger Beer was also condocuted at the 813 Club to observe people's reaction and to the product. When he was convinced about the quality and perfect taste of the Ginger Beer, he finally decided to introduce it to the Canadian market. Since then, many competitors have tried to immitate it, but have always been unsuccessful. And in the case of bigger companies, making a Ginger Beer was not even tried, because they knew well that their product would never match up to the uniqueness of Mr.Spyros Peter Goudas Ginger Beer. Bottles of Mr. Goudas Ginger Beer, a piece of root ginger and other Goudas products are being displayed. You know, ever since Mr. Goudas developed the first Ginger Beer in Canada in 1970 many people try to imitate the taste; no one else has been successful in capturing that flavour. All those other brands do not even come close. So forget about old times and jolly day labels because the one and only original Ginger Beer is Mr. Goudas Ginger Beer. Those other labels are just imitations. So, stick to the first and original Mr. Goudas Ginger Beer available everywhere. Mr. Goudas Ginger Beer!" 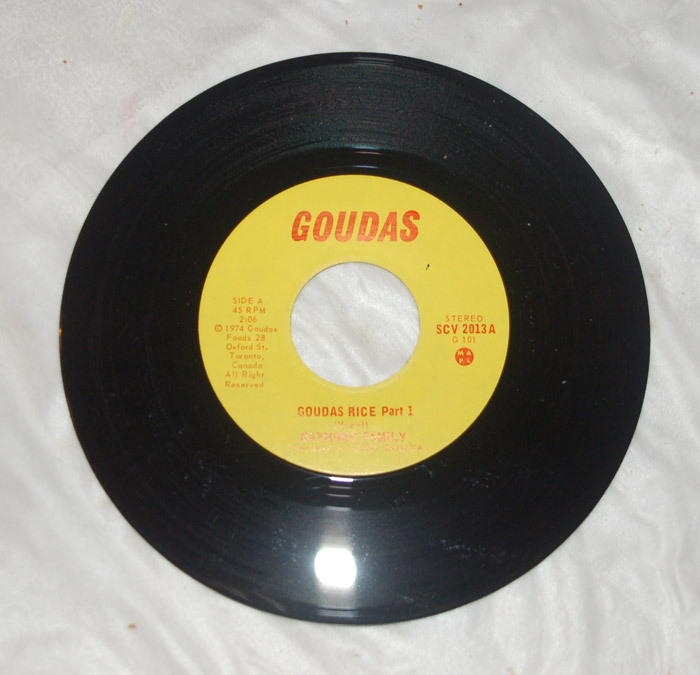 On day in 1973, Mr. Goudas received a phone call at his Oxford Street address from Jessie McDonald, a very close friend and a producer of Goudas' Caribbean Show on CHIN radio. Listen to the song in the background Jessie said in a jocular manner, and if you like it, I want you to bring a suitcase full of money to this address at Davenport and Ossington. Mr. Goudas glued his ear to the phone, and became entranced with the melody that he heard. When the lyrics proclaiming Goudas rice is very nice came up, he knew that he had to have this song. 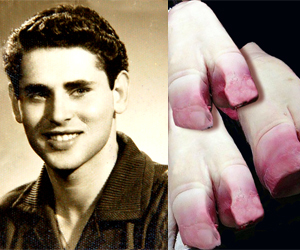 To enhance the variety of his products, and extend it beyond meat and vegetables, Mr. Spyros Peter Goudas started in 1970 to think about producing a product that would be cheap enough, but also good enough to meet the standarts of his multicultural consumers. This inquiry was noticed by M. N. A. Syed C. E., who was a rice distributor. He sold to Spyros Peter Goudas 10 containers of bulk rice, which was then packaged and firstly introduced to his consumers as a gift.